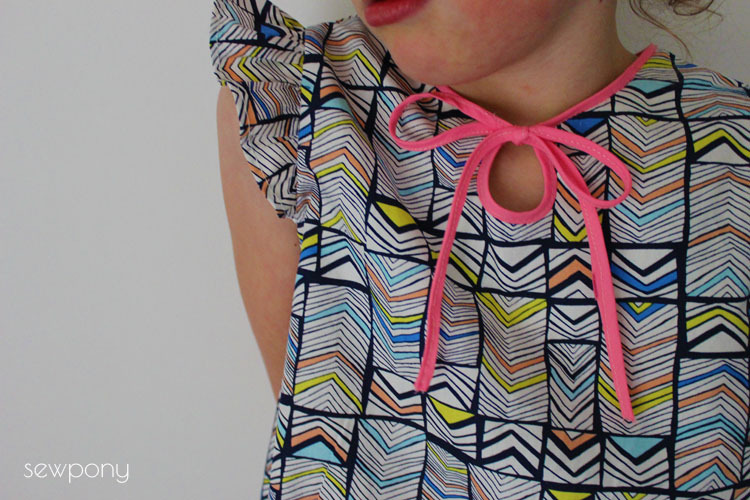 Today I am sharing a little top I made, which for my Issie is aptly named, the Isabella flutter sleeve top. 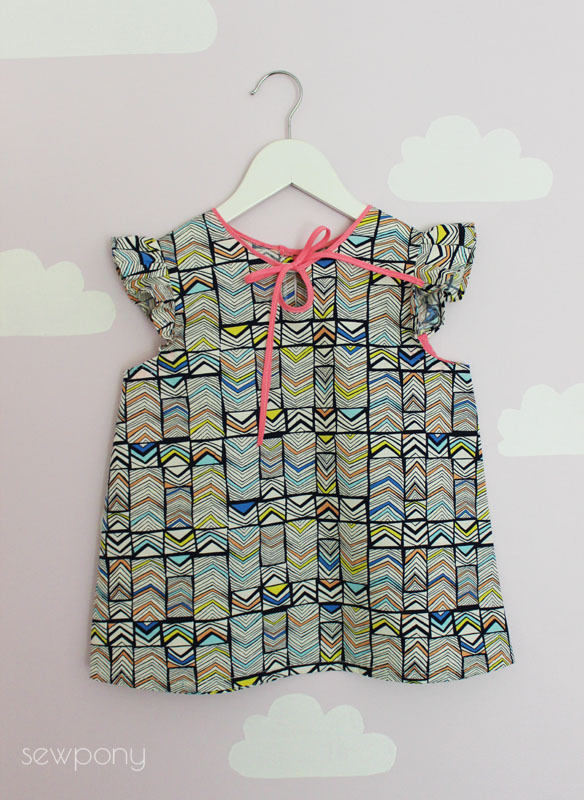 This is one of three debut patterns created by the lovely Kristine of Townmouse. Kristine made a gorgeous liberty Dear Prudence you might remember here. 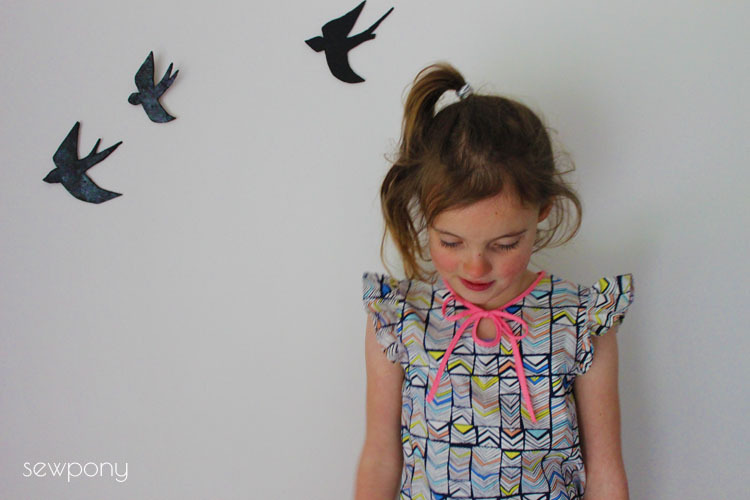 Kristine ran a successful children's wear brand by the same name in Melbourne and has now turned her hand to pattern making. The Isabella pattern is completely lovely. It has an Oliver & S feel to it with beautiful layout, digital drawings and clear and concise instructions. It comes in sizes 1, 2, 3, 4, 6 & 8. 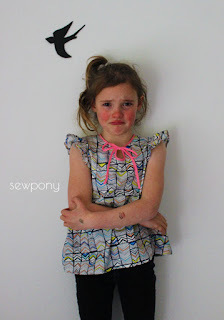 The pattern is beginner level, although Kristine's instructions do assume you know how to sew the basics. Some of the steps of the instructions are written only so if this is your first ever garment, you need to be able to follow some instruction without diagrams. However, this is a great staple and a great place to start if you are venturing into sewing for children. It is also a great quick project for presents, or a way to turn a lovely piece of fabric into a sweet shirt in about an hour and a half (or less if you have made more than one!). 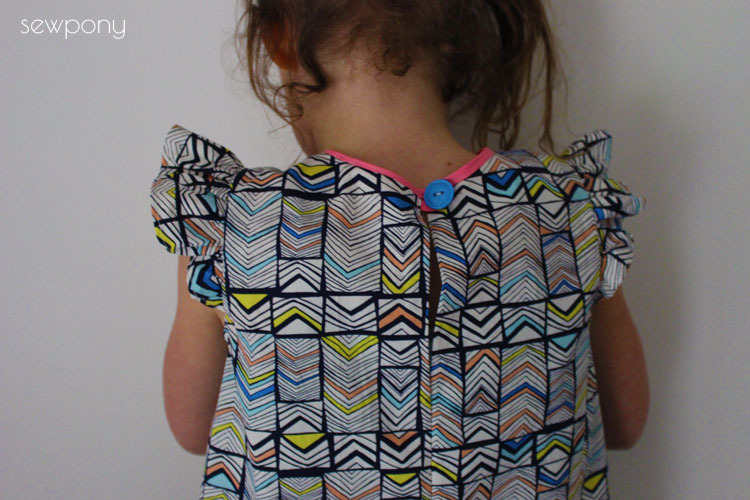 For my Isabella, I used some lovely Leah Duncan fabric (Geos in deep marina) I bought here a couple of months back. She chose it herself (well done!). I let her choose from this selection of Leah Duncan prints (aren't they all divine?) I think the shirt looks lovely with the candy pink binding even though there is no pink in the fabric. Unfortunately, Issie was not in any mood for photos after school today and I could barely get a smile from her, even after the promise of hot milos after photos. I understand - I would not always feel like posing either! And those stubborn fake tattoos will not come off! 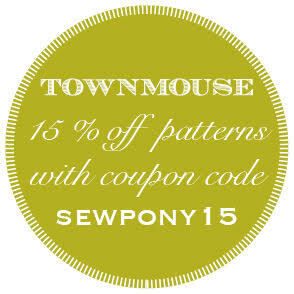 For sewpony readers, Kristine has created a coupon code for any of her three patterns listed in her etsy shop. It expires this Saturday. See the lovely badge below! Thank you for the lovely pattern Kristine! Sorry I could not deliver a happier model! She is not sad about the top - just about being cold! Oh that last photo! Tell her from me that she was a real sport to go along with it all. We take our little models for granted sometimes. She does look lovely in her top and I'll bet in summer it will be just the thing to wear with a smile! Thanks! I know - I do understand not wanting photos all the time! The pink is perfect! What a lovely top!